This is the third edition of my new monthly article series in which I’m monitoring the health of DivGro, my portfolio of dividend growth stocks. These pulse articles are strategy focused. I provide updated fair value estimates and compare them to current market prices. Undervalued stocks are candidates for further investment. I rate stocks on a 7-star scale and consider 6-star or 7-star stocks to be quality dividend growth stocks. I also provide various charts to visualize recent performance. 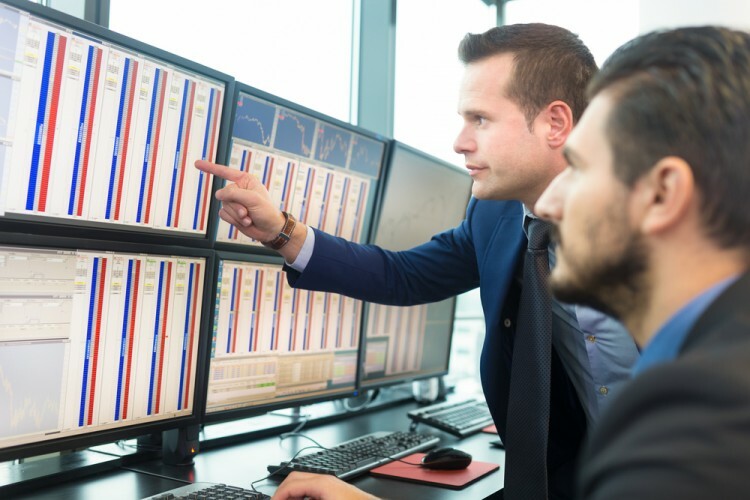 If a stock performs poorly, it could be a sign of some underlying problem. Hopefully, these charts will help identify potential problems and inform my investment decisions. In last month‘s article, I identified Caterpillar Inc. (NYSE:CAT) as a stock I wanted to get rid of. Caterpillar Inc. (NYSE:CAT) made a decent comeback but I expressed concerns about the company’s near-term future (1). I gave the stock a 4-star rating and ranked it #36 out of 49 stocks. I closed my Caterpillar Inc. (NYSE:CAT) position on 30 October for a modest gain of 11.6%, or 4.7% annualized. Stocks in my portfolio that trade at a discount to fair value are candidates for further investment. Before I buy more shares, I want to analyze a stock to see if I still like the fundamentals. Conversely, if a stock is trading at a premium to fair value, I don’t want to buy more shares. 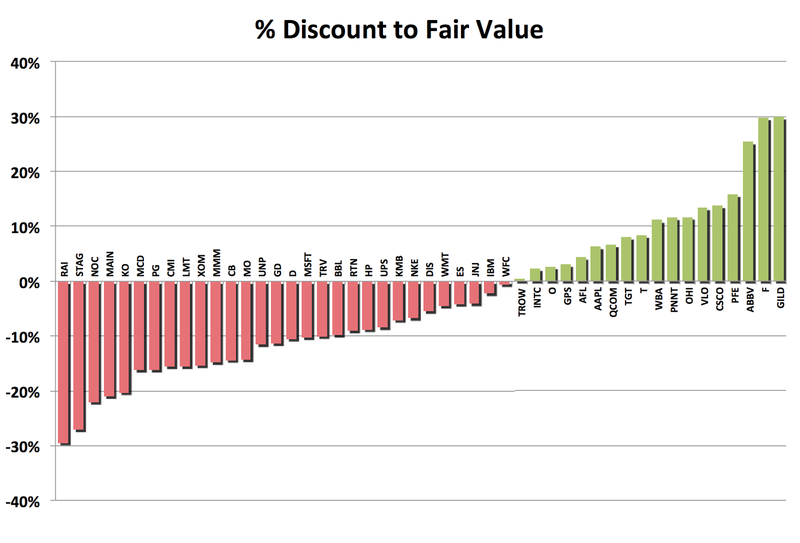 I prefer buying stocks when they’re available at a discount of 10% to fair value. From the chart above, nine stocks are discounted by more than 10%. But are these stocks suitable for further investment? Gilead Sciences, Inc. (NASDAQ:GILD), Cisco Systems, Inc. (NASDAQ:CSCO), and Valero Energy Corporation (NYSE:VLO) have 6-star ratings. At 2.20% of available capital, GILD is the largest investment of these stocks. I have 1.74% allocated to CSCO and 1.36% allocated to VLO. The average position size in DivGro is 1.64%.